The Philippines as a nation is very passionate about its political landscape. And quite rightly so since elected or hired government officials are expected to be in that position for their desire to be a public servant. However, most, if not all Filipinos, feel that they do otherwise, and accusing the very people they elected to office as terrible monsters devouring any perceivable resource for their own benefit. They label them as crocodiles, or “buwayas”, liking their insatiable greed to the reptile that supposedly gobbles all living (or dead) organic matter. 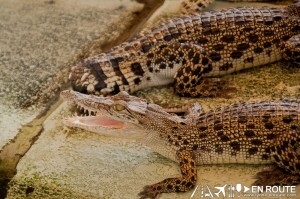 How unfortunate for these creatures for nothing can be farther from the truth, at least according to the Palawan Crocodile Farm. 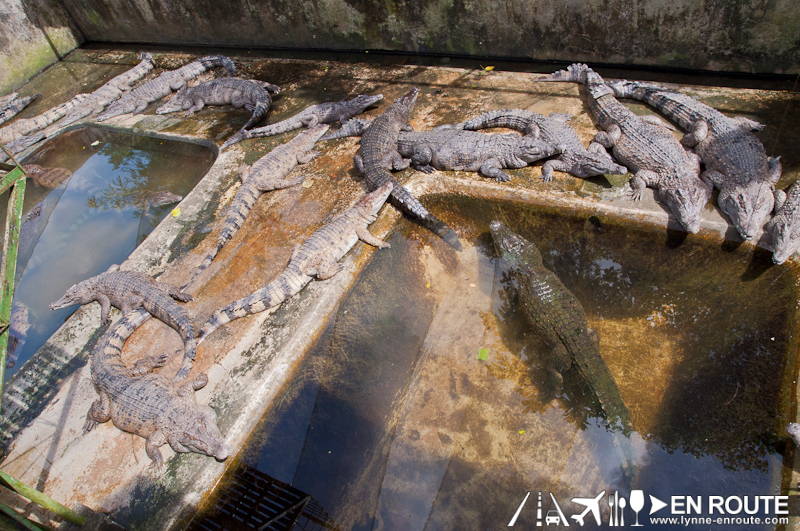 The Palawan Crocodile Farm is a government institution tasked at the preservation, propagation, and culturing of various crocodile species that are endemic to the Philippines. 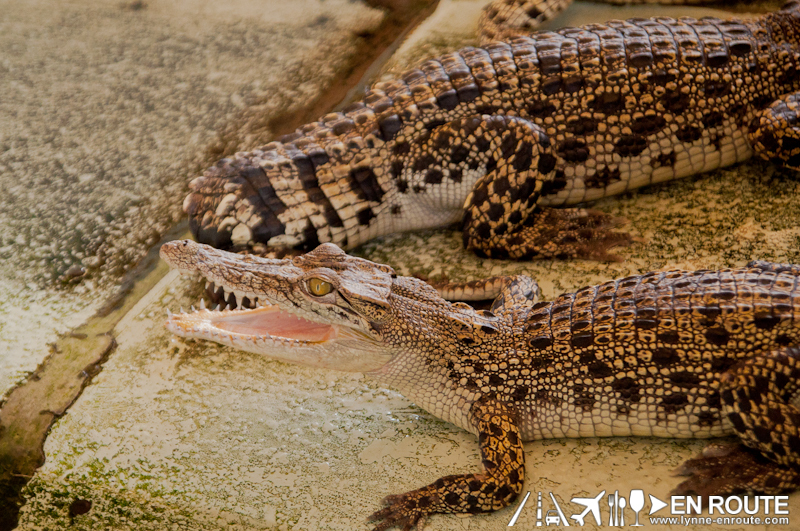 And while crocodiles are notorious for eating all kinds of animals including the human species, there is still reason to keep them for their integral part of the ecosystem. 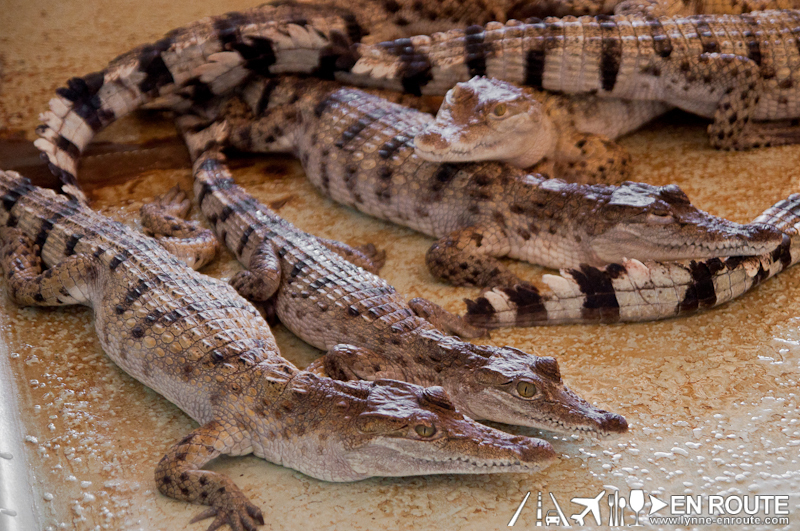 Through the years, though, the place has evolved into a total wildlife conservations center, protecting some injured animals. Their main thrust, however, is still the croc farm. This monster was captured in the southernmost town of Batarazza, Palawan around August 1990 after eating a child in the marshes. 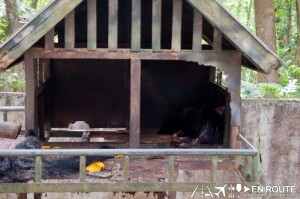 It was the main attraction of the farm until his death due to “depression”. 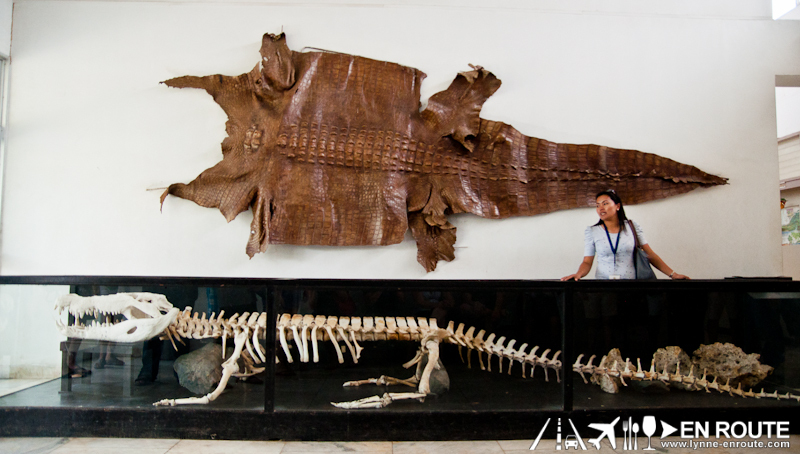 The 17ft skeleton and skin remain as a reminder on how large these things can get, and how dangerous they can be if one happens to cross their territory. And it’s surprising how they all begin from something just a tad bit larger than a chicken egg. 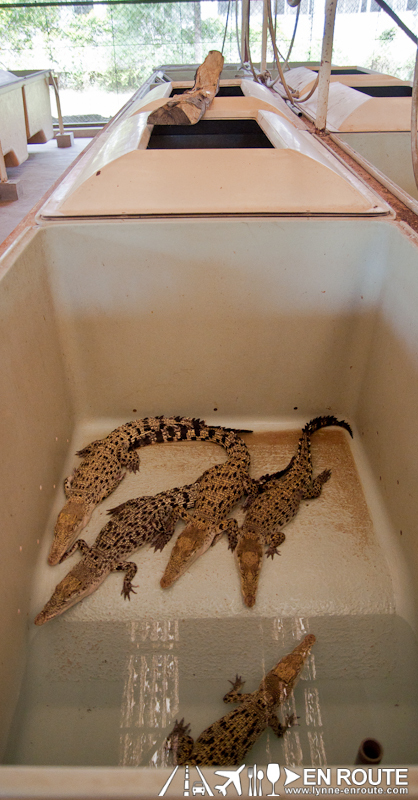 It was off to the hatchery and nursery to check out how the young crocs are bred. 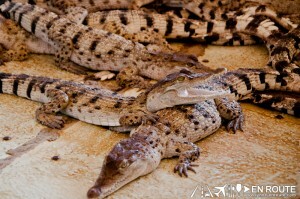 These are bred for various purposes such as species conservation and propagation, for leather goods and for food. One can get to try the food part in this place. More on that later. 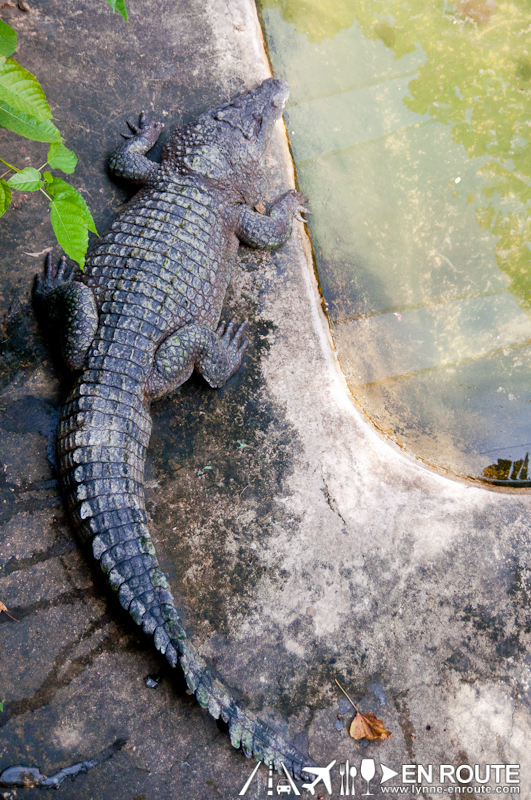 Quality standards are set here, in that any croc with damaged skin is isolated until it heals. It does heal at a more advanced rate than humans. 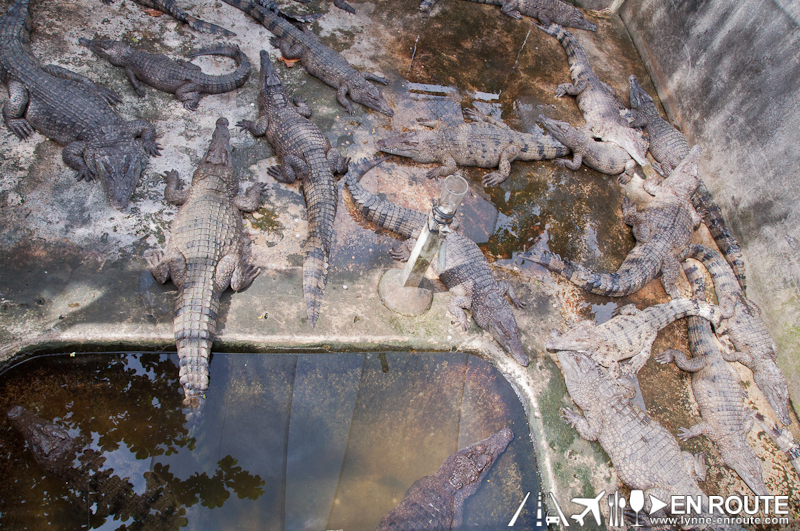 Once the hatchlings achieve a certain size, they are then moved into the larger pens. 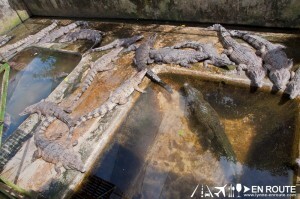 A metal bridgeway traverses these in order to have a glimpse of the behavior of these crocs in captivity. It is foolish to taunt them with food or your hand. Horse playing is strongly discouraged, lest you fall into the pit and become the headline of the local newspaper. 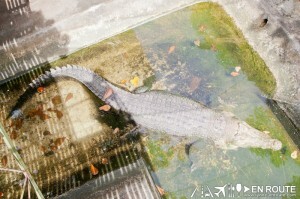 No amount of diplomatic or judicial immunity can save you from the jaws of real crocodiles. 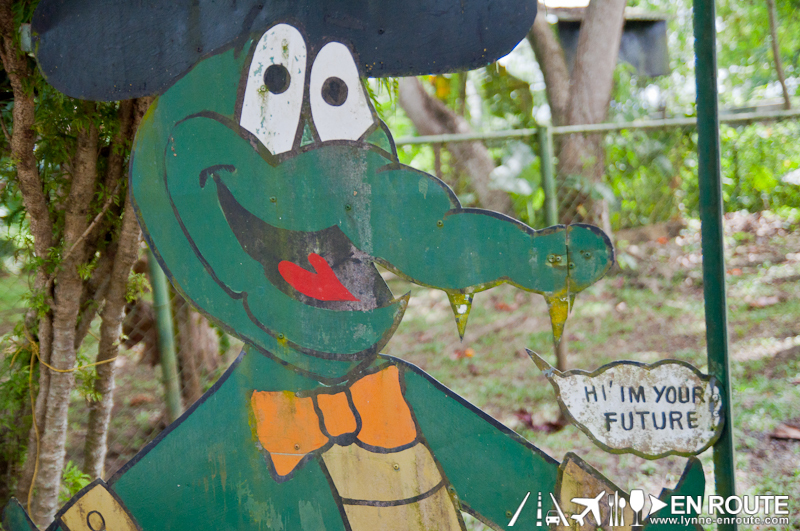 There’s a chance to hold a young croc for PHP 40.00. These are the ones that have been segregated already for such purposes. Unlimited pics can be taken of you holding the repltile. 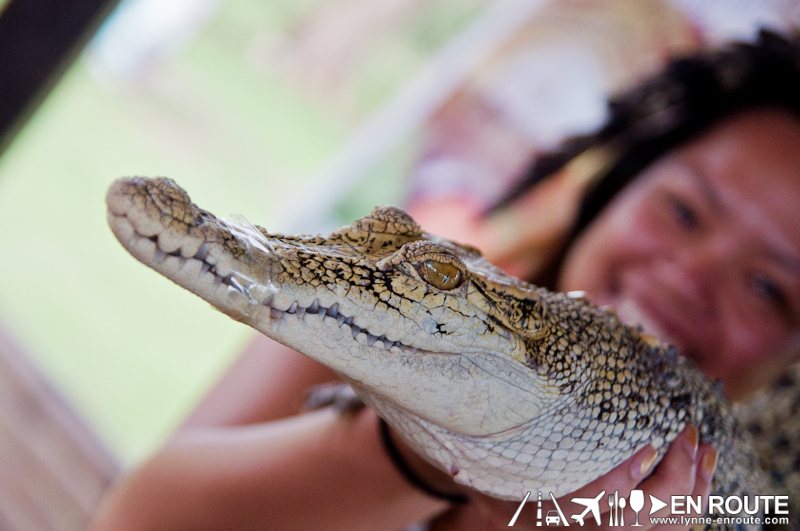 They have a refund policy for your PHP 40.00 in case it bites off your hand. 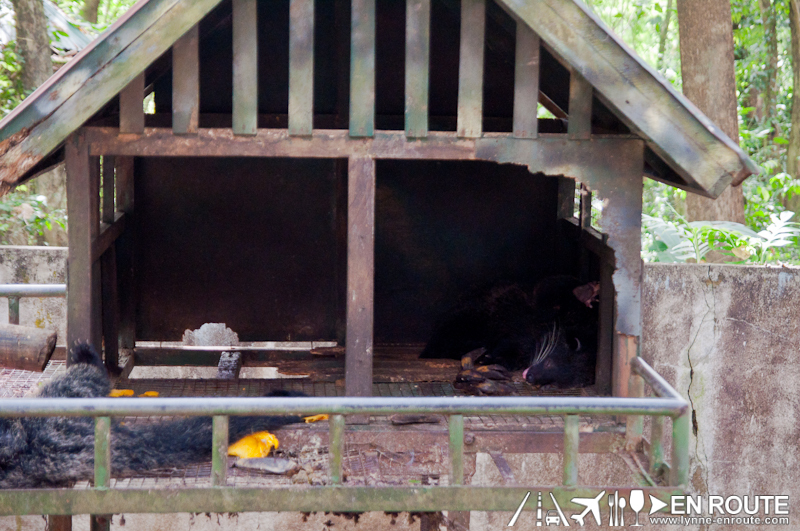 There are other animals in the farm for educational purposes, like a captive bearcat and eagles. 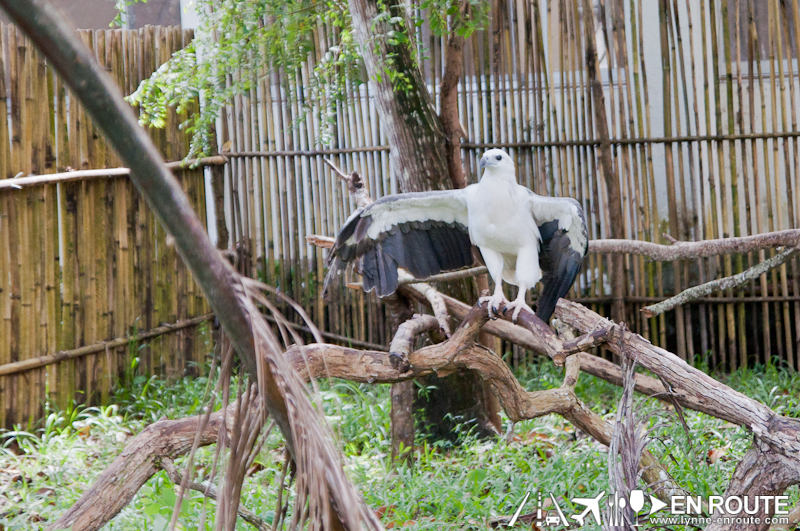 The poor Sea Eagle in the pic was found with an injured wing in the wild and therefore can never take flight anymore. 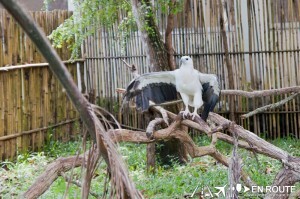 It is why even if it is in an open cage there is no chance of it flying away. At the end of the tour, there’s a small restaurant to try out cured crocodile meat. 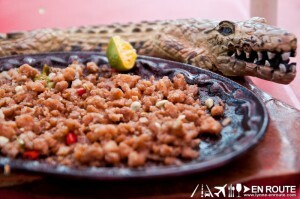 Popular Filipino viands such as Tocino, Tapa, and the ever famous bar chow Sisig made from croc meat is great to try. Don’t leave the place without sampling these. It has its nutritional benefits that obviously have more use than some elected officials. Are we En Route to getting better? Why not read President Aquino’s speech and share your thoughts? 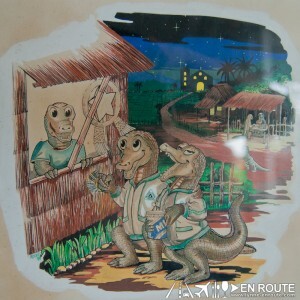 Crocodiles? How about Philippine traffic enforcers? 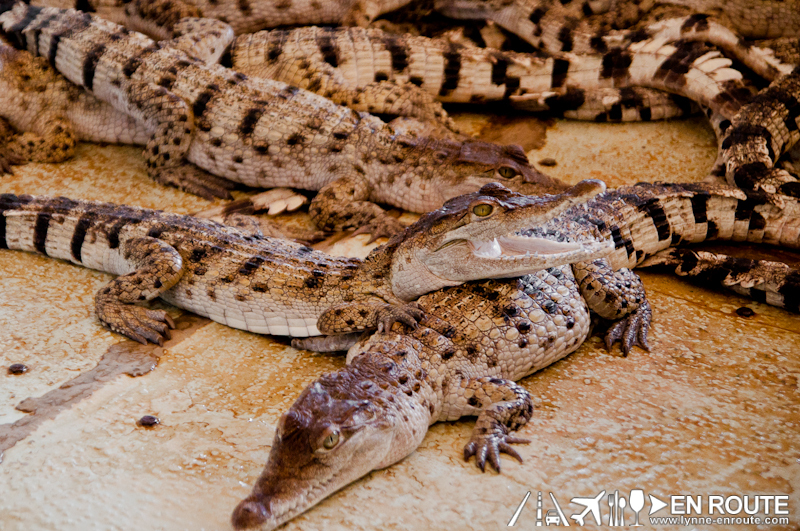 The Irawan Crocodile Farm and Wildlife Conservation Center is located at the National road, Puerto Princesa City, Palawan, Philippines. It is advisable to get a travel package that the hotels or local travel agencies offer to have this integrated in your Palawan Tour.